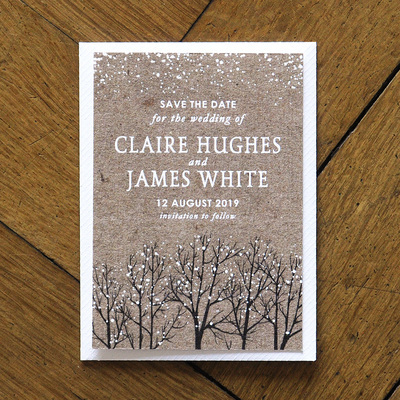 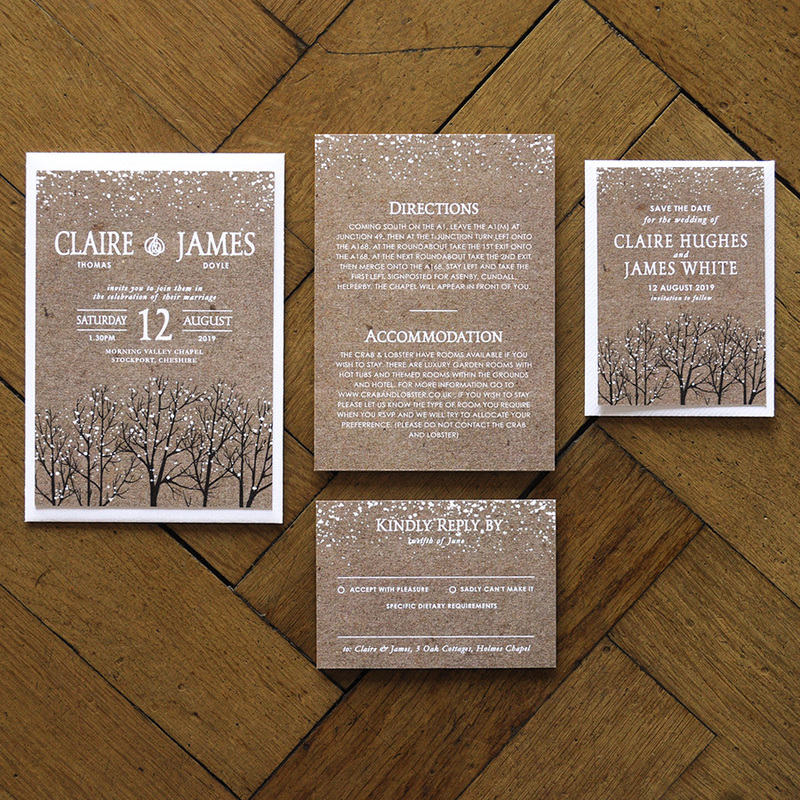 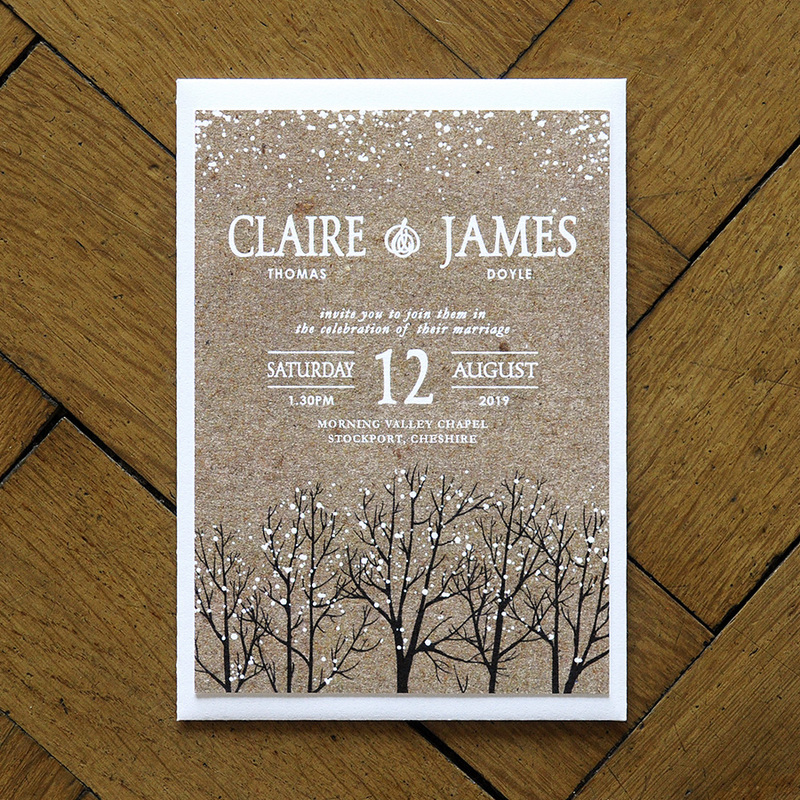 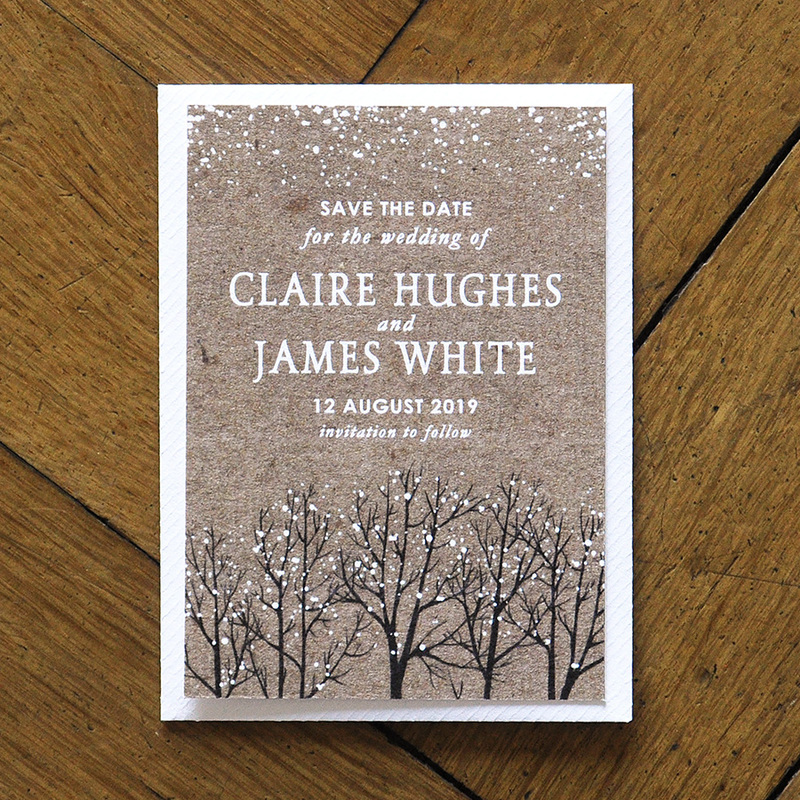 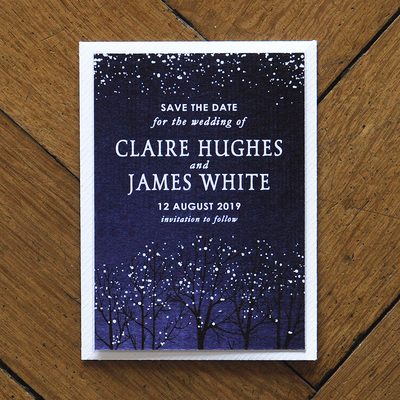 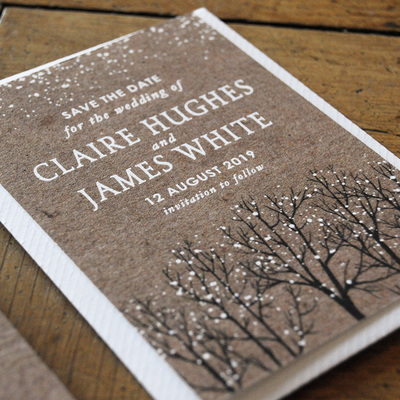 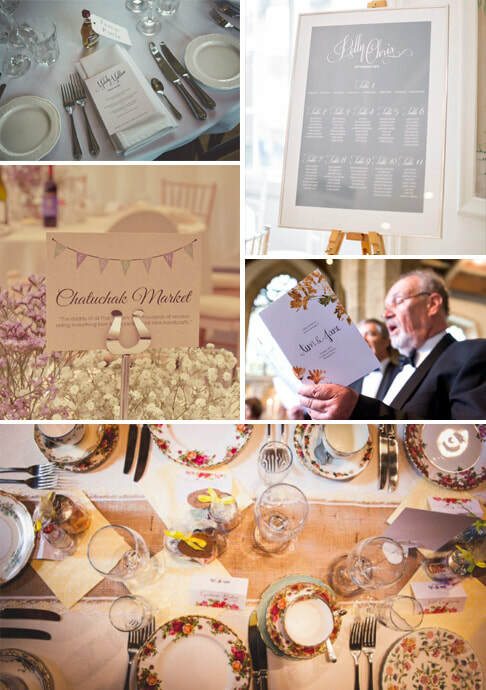 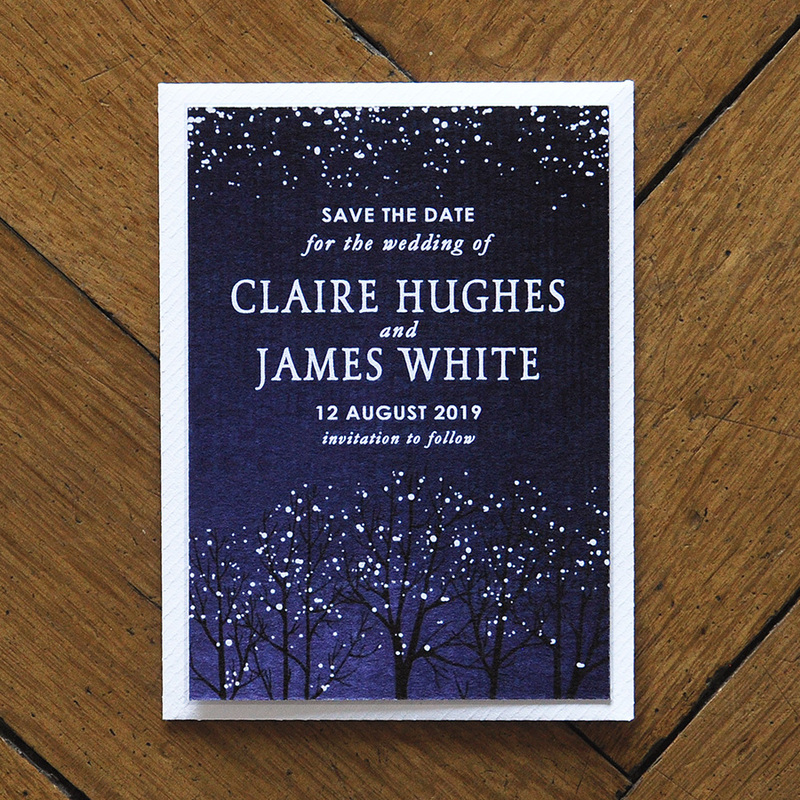 Wedding invitation suite printed on thick 320gsm 'feel good' textured card with white snow flakes. 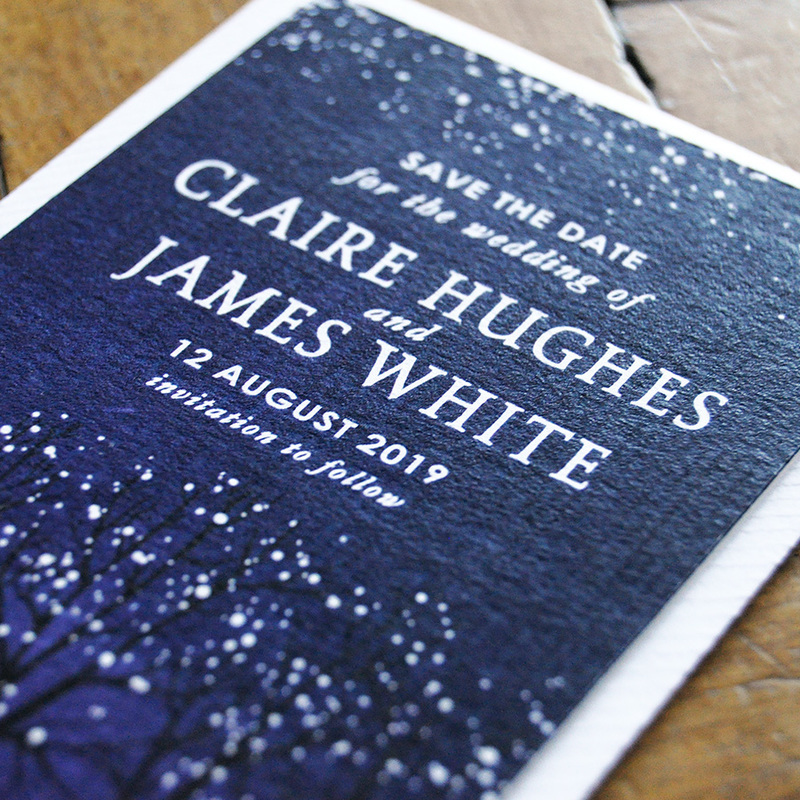 Choose a kraft background or a midnight blue. 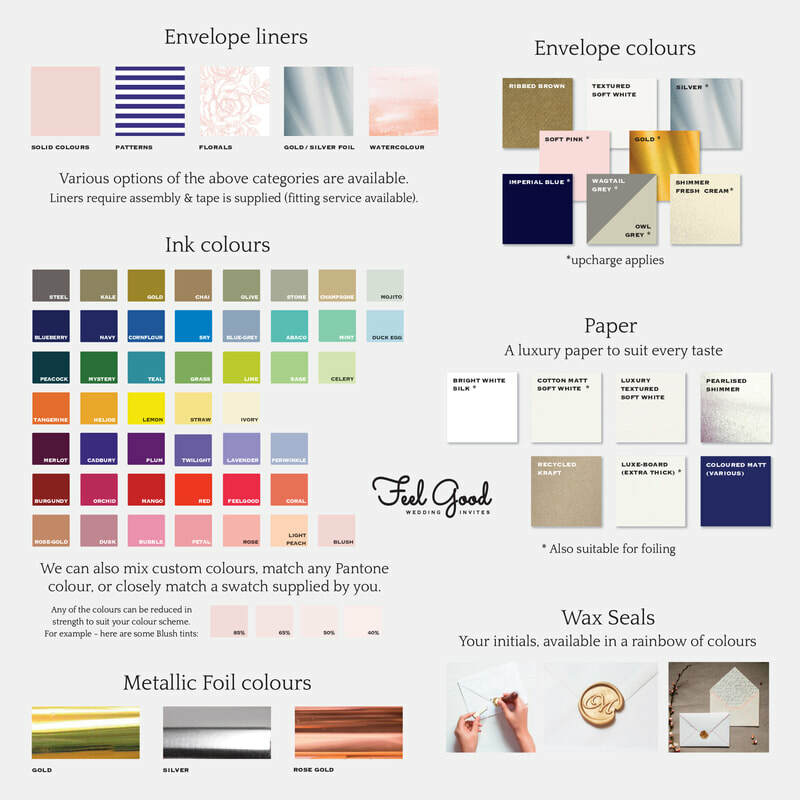 ​High quality white or ribbed kraft envelopes are also available.